At 1,000 meters of altitude in the Soria locality of Atauta, a unique valley exists that constitutes an authentic enological and ethnographic jewel. In this unique enclave, Bodegas Dominio de Atauta literally goes down, with the purpose of reflecting in its wines all the peculiarities that the Tinto Fino variety of pre-phylloxeral vines with more than a century of age is capable of offering. Bodegas Dominio de Atauta drinks from the tradition of a valley with more than five centuries of winemaking tradition and extreme conditions, both for the altitude in which it is located, and for a climate with few rains and large thermal oscillations. Based on these bases, the philosophy followed by Bodegas Dominio de Atauta since its inception has been to pamper the fruit obtained in the vineyard throughout the cycle with exceptional qualities and perform a careful intervention in the winery. 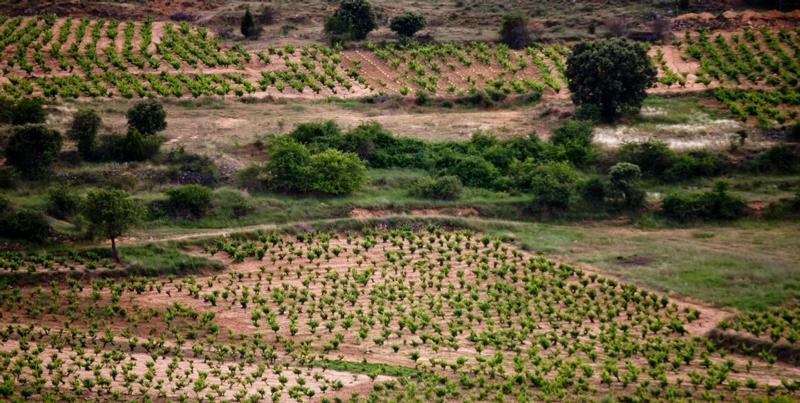 Over the years and adding an excellent human factor to the unique conditions of the terroir, the wines of Dominio de Atauta have managed to gain a place among some of the most renowned wines of a Denomination of Origin as outstanding as Ribera del Duero.